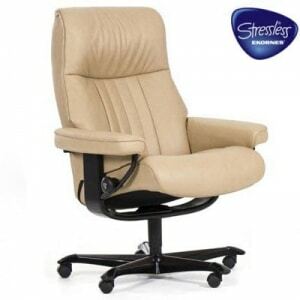 The Stressless® Crown Office Chair features clean lines and comfort. The sturdy five-castered base allows for easy movement, and the seat height is adjustable to fit a a variety of people. Customize the look with oyur choice from many top grain leathers and fabrics. 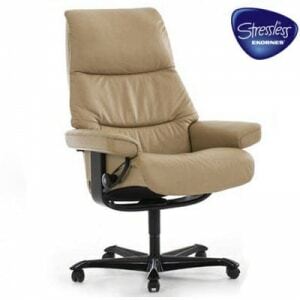 The Stressless View Office Chair has ample cushioning, while retaining a timeless and modern pillow design with sleek contours. 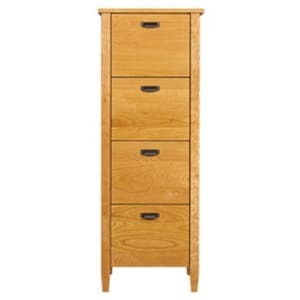 This model has a longer and slimmer back, great for those with extra height. The recliner also has an elegant and comfortable neck support. Customize with your choice of top grain leathers and fabrics. 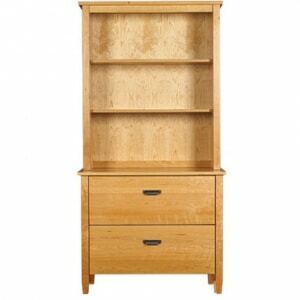 Storage abounds within our Retrospect Bookcase. With a large shelf on top, four staggered lower drawers and four small cubbies, there is a place for everything! 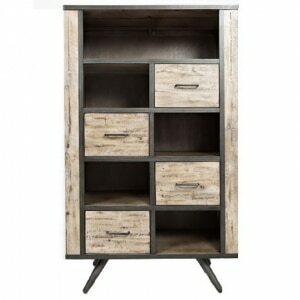 The sleek black steel frame and grey wash wood finish complete the modern look. 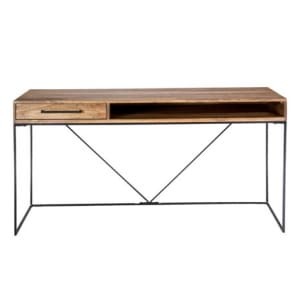 Our Franklin Desk provides a stylish place to get work done. 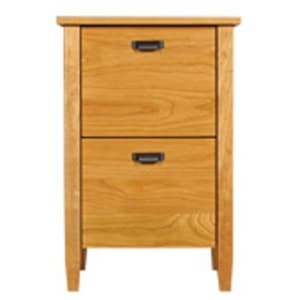 It features sleek legs, a floating 1" thick top, and a wide drawer. 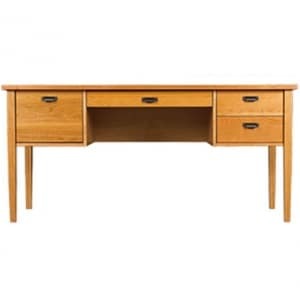 Pictures in natural cherry, the Franklin Desk is offered in a variety of cherry and walnut wood finishes as well as several knob options for the drawer. Also available is a larger L shaped desk for extra workspace. Get to work in style! 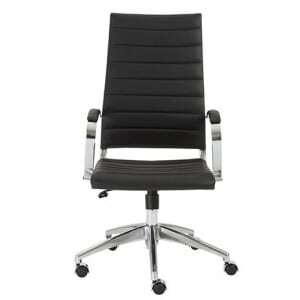 The Axel Office Chair is offered in three classic colors: white, gray, and black. The chrome steel frame and polished aluminum base add a modern touch. Choose from high back, low back, or low back armless style. Use the tilt function, swivel, and adjustable height to create the most comfortable sitting experience for you. The Preston Desk allows you to work in style. 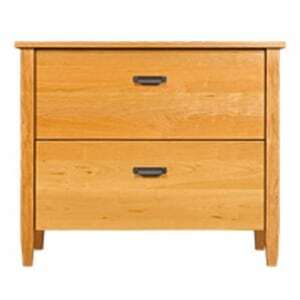 The solid American cherry is offered in a variety of finishes to best suit your decor, and there are several options for drawer hardware. One large pencil drawer is in the center, flanked by a large file drawer on the left and two storage drawers on the right. The back of the desk has stylish panel detail. Pair with other items from the Preston Collection for a complete look. Proudly made in the USA! 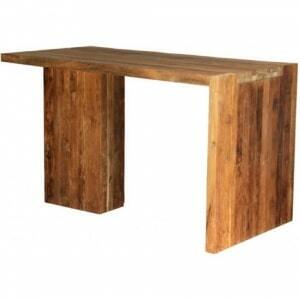 Reclaimed teak is the star of the Pax Desk. The plank top provides plenty of work space, and it is anchored by two perpendicular pedestals creating an eye-catching look. 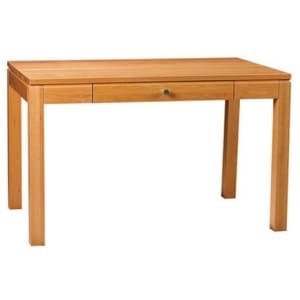 The Colvin Desk offers plenty of work surface for a variety of tasks. The large open shelf area below the desk top allows you to keep items easily within reach, and the drawer on the left helps to keep clutter at bay. The rish solid mango wood contrasts nicely with the sleek metal base. Coordinate with other pieces from the Colvin collection for a cohesive look.